In a new screed against a free exchange of ideas on climate change, “Earther” Brian Kahn argues that those who question global warming orthodoxy have no right to voice their opinions in public. Despite their claims to have science on their side, alarmists like Kahn do all in their power to stifle debate and to silence those who disagree with them. True science, on the other hand, is posited on a fundamentally skeptical attitude that demands empirical proof before assenting to untested theories. Kahn finds the idea of a climate change debate to be anathema, calling it “an exercise in nihilism and one that is likely to completely lack rigor”—which is itself a thoroughly unscientific assertion. This, too, is a curious statement, since carbon dioxide (CO2) is clearly not a pollutant. It is a colorless, odorless, non-toxic gas that human beings and animals inhale with every breath they take with absolutely no ill effects. Moreover, it is to plants what oxygen is to humans—an essential ingredient of life, health and growth. Confronted with the notion that carbon dioxide is plant food, however, Kahn pooh-poohed the idea as an “ol’ chestnut” worthy only of ridicule. Kahn further writes that the “deniers have lost the scientific debate,” which is strange for a person who insists that the debate must never happen. Kahn’s article and many more like it give the unmistakable impression of an underlying fear that a free exchange of ideas will show the hyperbolic assertions of climate alarmists to be nothing more than… hot air. 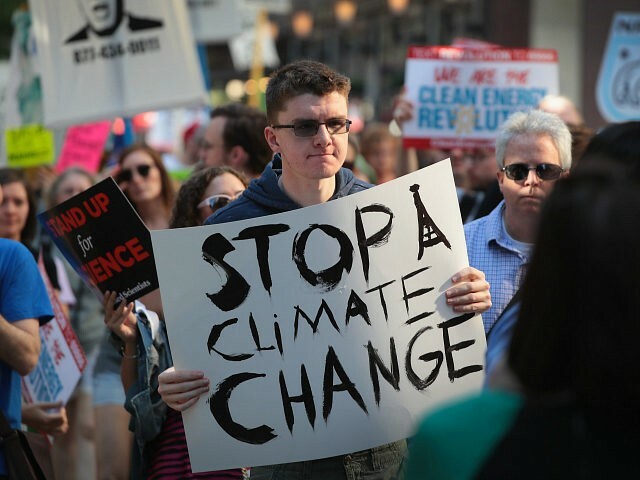 In one of the most thoughtful and incisive analyses to date on the question of climate change, titled “Twilight of the Climate Change Movement,” scholar Mario Loyola pointed out the inherent dangers of placing science at the service of ideology. Loyola goes on to unveil the political motivations behind many in the climate change movement, both in terms of international energy competition and the interstate rivalry within the United States. There is no question that clean energy subsidies, such as those of President Obama’s Clean Power Plan “translate into a form of patronage support for Democrats,” Loyola wrote. Despite the partisan forces at work, however, Loyola arrives at the fundamentally optimistic conclusion that in the area of climate change, true science will eventually emerge victorious. “All sides of the climate change debate have a huge incentive to generate more and better climate science: the alarmists and their more skeptical colleagues all want to prove their points,” he asserted. As our scientific understanding improves, many of the propositions we hear today will have to be modified, and many will be refuted, as has always happened in the history of science. The scientific community may at times be powerfully resistant to revision of its received wisdoms; it took an entire generation for medical professionals to accept the germ theory of disease, despite the fact that the evidence in its favor generated by Pasteur and Koch was clear from the start. But better science wins out in the end. In the meantime, climate alarmists like Brian Kahn will do all in their power to keep skeptics from making their arguments publicly, resorting to ad hominem attacks, ridicule and bullying. Fortunately, they do not have the power to coerce everybody else to play along.